We hand pick brands that sound amazing and stand behind their products. MAGICO was created over a decade ago for the sole purpose of leading a no-holds-barred assault on what is possible in contemporary loudspeaker design. The results speak for themselves. Constellation Audio has an amazing set of awards, is no stranger to "best of show" kudos. Show after show we kept coming back to its amazing sound, and we are excited to have Constellation in our showroom. The finest AC Distribution, Power Cables and other products. The much anticipated Shunyata Denali is here! Shunyata Research products will help your system shine. Multi award winning products including Triton v2, Sigma Power Cables, Venom PS8, and more! We have the Focal Sopra No2 available for listening! Focal creates many great speakers, like the Utopia III, and has now introduced their newest creation, the Sopra. Similar technology to the Utopia is found in the Sopra such as the Beryllium tweeter in a livable sized package that looks and sounds incredible. Custom colors available! Nordost is one of the premier cable brands in the world. Revealing and precise. Reference Music Servers that make sense. Great sound and a great app make this an enjoyable way to play your networked music. 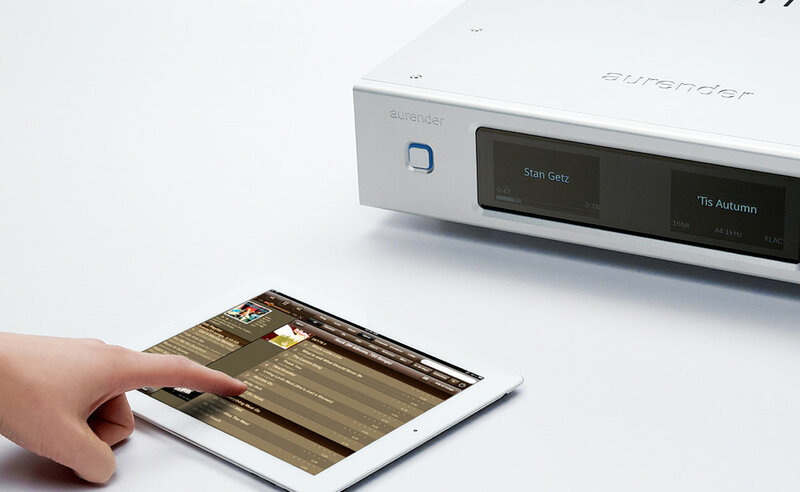 Play high resolution music stored locally on the Aurender, from your NAS (Network Attached Storage device), or streamed from an uncompressed streaming service such as Tidal. The Chord Mojo has changed the game in the portable dac world. It's big brother, the Chord DAVE may just be the best dac we have ever heard. We are very excited to have both of them at our showroom to listen to. Chord Audio's amazing FPGA based dacs will make you rethink how good digital can sound. Some of the best tube amplifiers ever made. Hand crafted in the united states. Many best of show awards.